Protect against moisture damage such as deterioration, rust, corrosion, mold, mildew and other problems that arise in packaging applications. A wide selection of sizes, bag constructions and desiccant types allows you to choose the ideal NatraSorb Bagged Sorbent solution to manage your specific need. 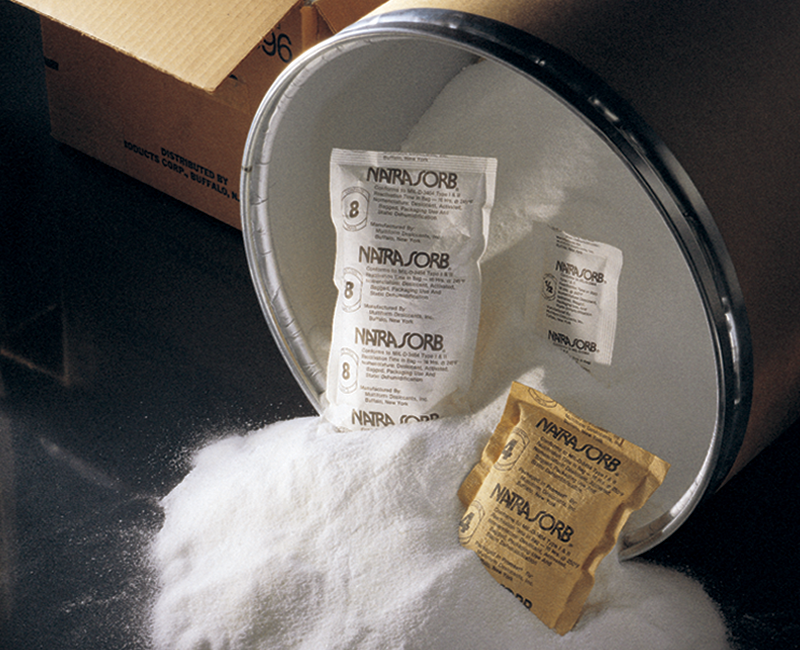 NatraSorb moisture absorber bags are available with a choice of desiccants and desiccant blends including montmorillonite clay, silica gel, molecular sieve and calcium oxide. Select from standard sizes: 1/6 to 80 units. Choose the bag material that suits your requirements, including: heat-sealed, coated crepe Kraft paper, non-woven sewn rayon, or Tyvek®, a spunbonded, high density polyethylene (HDPE) non-woven. 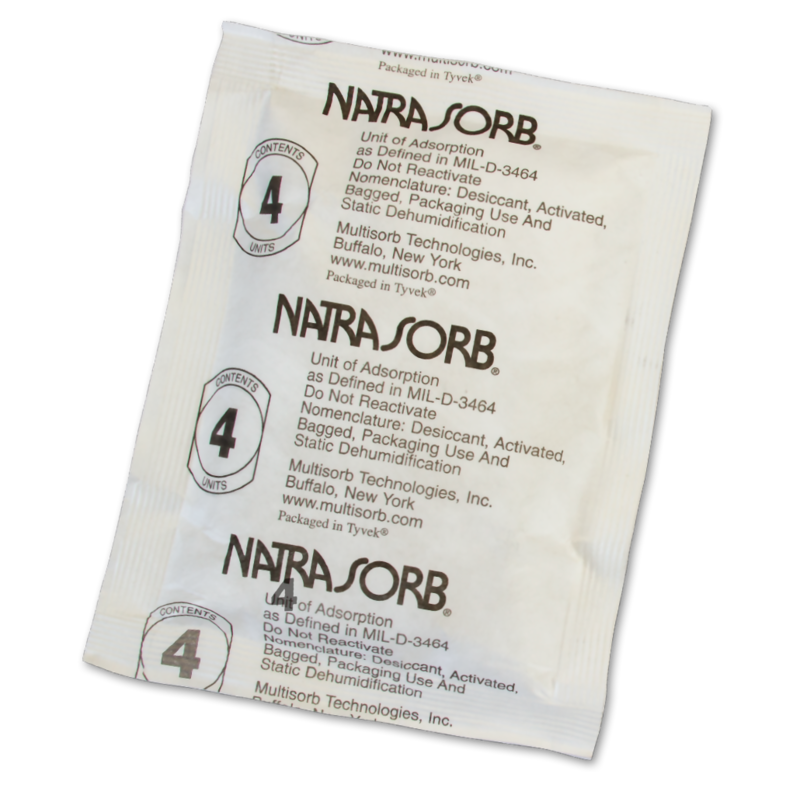 Our smaller NatraSorb Bagged Sorbents are the only unit-sized desiccant bags made with uncoated Tyvek®, resulting in lower cost while providing superior seal strength. Compact sizes provide adsorption capacities equal to those of larger moisture absorber bags. 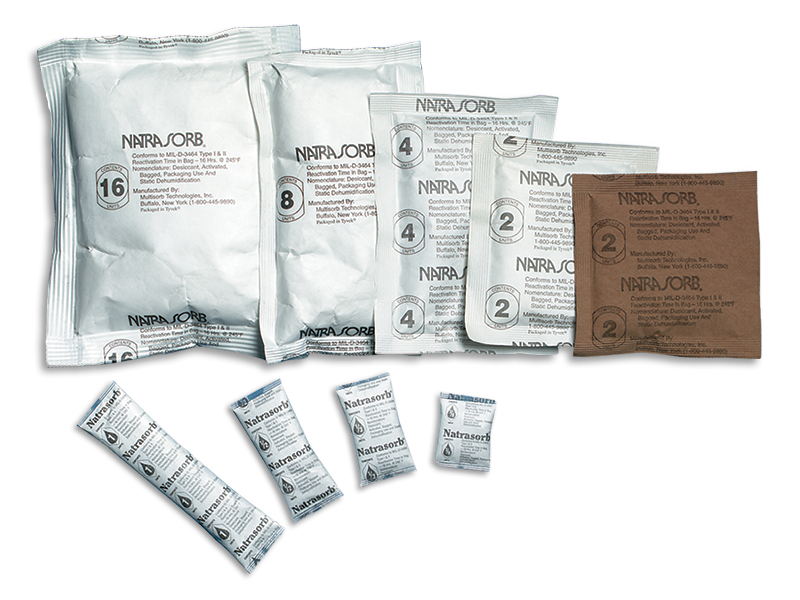 NatraSorb Bagged Sorbents conform to the weight and adsorption capacity requirements of Military Specification MIL-D-3464E, Desiccants, Activated, Bagged, Packaging Use and Static Dehumidification.